An NYSC Corper has just been credited with a whooping sum of N198,800 by NYSC instead of N19,800 paid as monthly allowances, could it be because she is serving at Borno State, or it was just a mistake by them? “Dear @nysc_ng, I am a corps member serving in Borno State, 18BII. 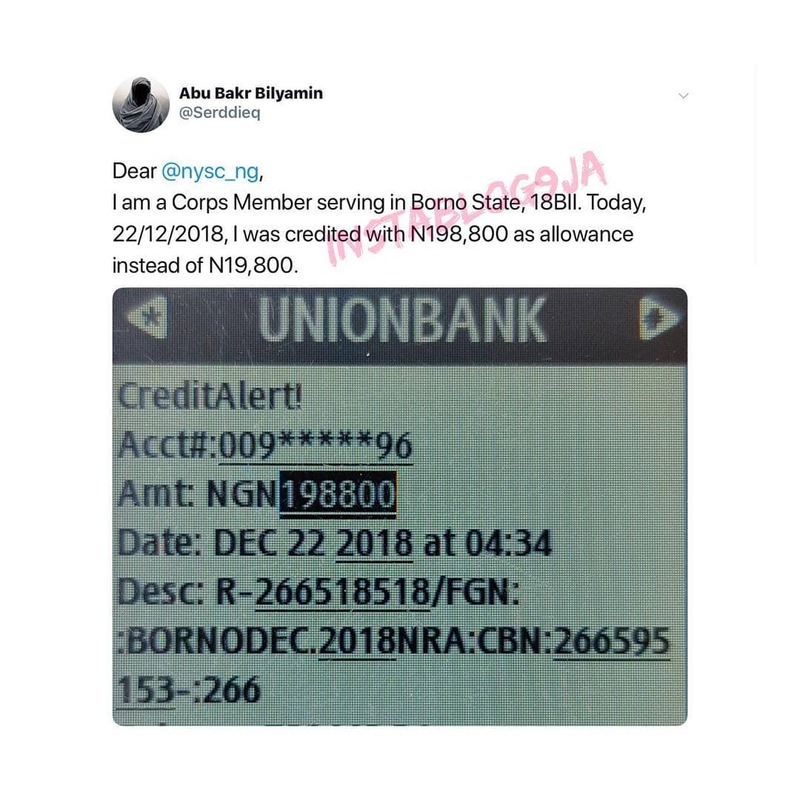 Today, 22/11/2018, I was credited with N19,800 instead of N19,800. Meanwhile some Corp members in Batch C still await their November and December allowances. News reaching musictori.com is that some of the corp. members are already receiving theirs and the delays in payment are not from NYSC but from the individual banks.